Halesowen based Landscapia are garden design and landscaping experts with vast experience in the installation of artificial grass. The brief was to refine and improve their web presence by replacing 3 existing websites, including two websites provided by Yell.com, to develop one responsive / mobile friendly website on which they could focus all of their development ideas. The new site uses the best of the legacy content and also incorporates new content including their revised logo. Landscapia have much planned for their new website and they are already sewing seeds for the future. 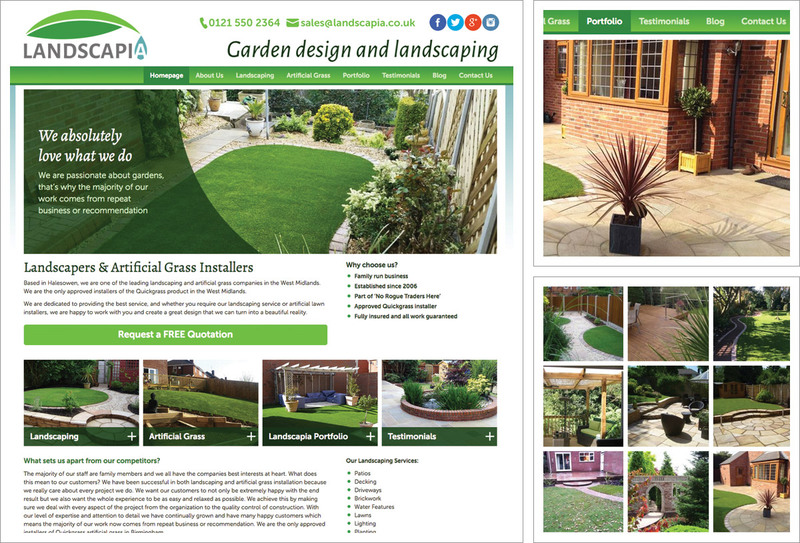 We look forward to working in partnership with Landscapia to impress both Google and prospective customers with Landscapia’s garden magic!